This is a Drawing. It was from the office of General Motors. It is dated ca. 1941 and we acquired it in 2017. Its medium is brush and gouache on paper. It is a part of the Drawings, Prints, and Graphic Design department. 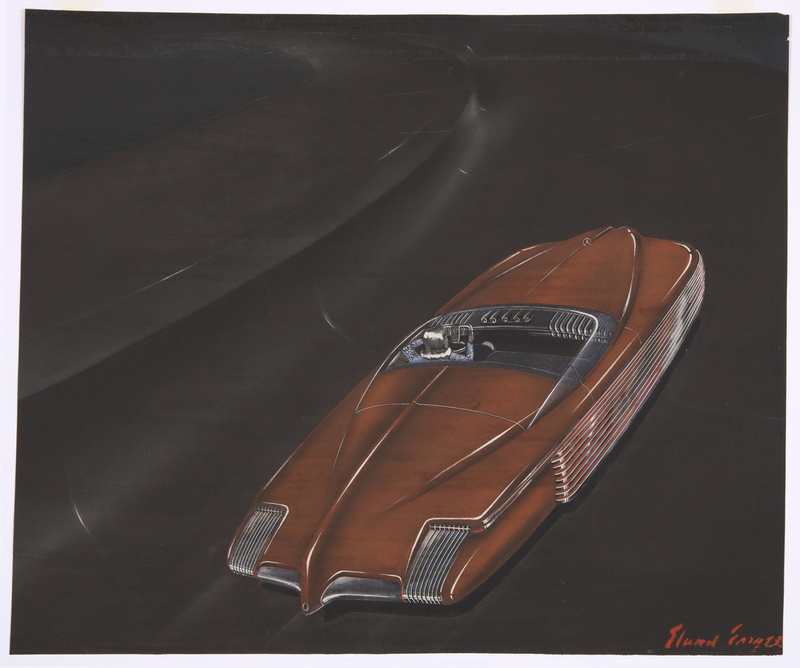 This sleek automobile concept drawing by Elwood Engel dates from the beginning of his design career. 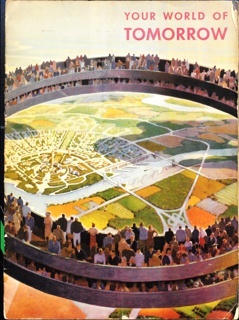 Before joining General Motors, Engel’s experience designing for the 1939 New York World’s Fair would have guaranteed his exposure to the large Futurama Exhibit mounted at the fair by GM. Focusing on highway progress and GM’s role in creating futuristic vehicles that would use emerging technologies, the display resonates with Engel’s streamlined and futuristic concept. 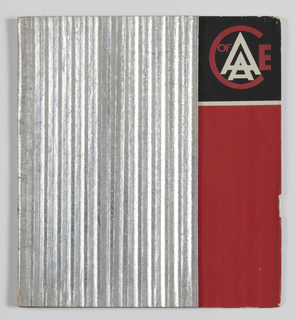 Viewed from above, the automobile is almost unrecognizable as a car—the uniform height of the vehicle’s body and its detailed grills at the sides and back recall elements of contemporary radio designs. 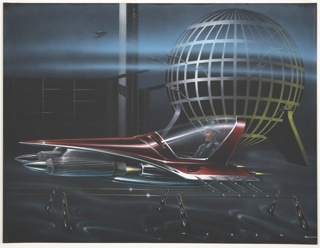 Likewise, the female driver navigates the vehicle on a black, pipe-shaped road, possibly suggesting a futuristic highway scheme.